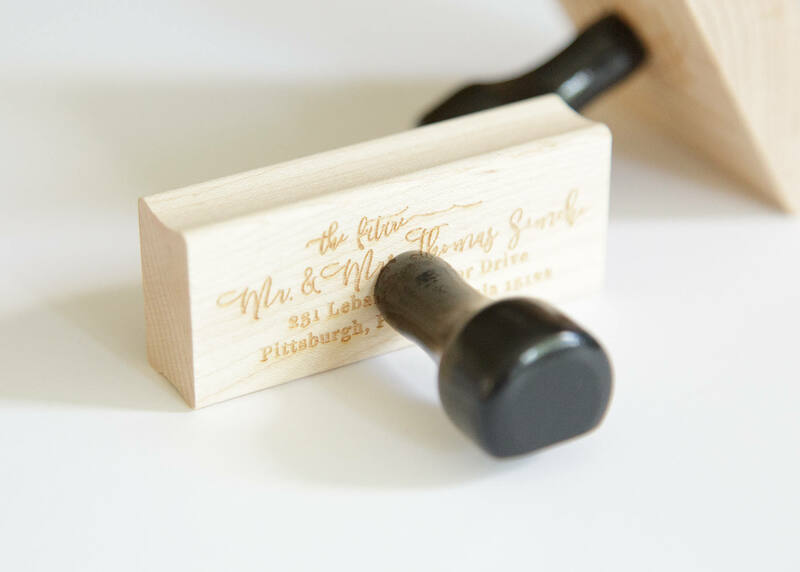 This personalized return address stamp makes an absolute perfect gift for a friend or yourself! 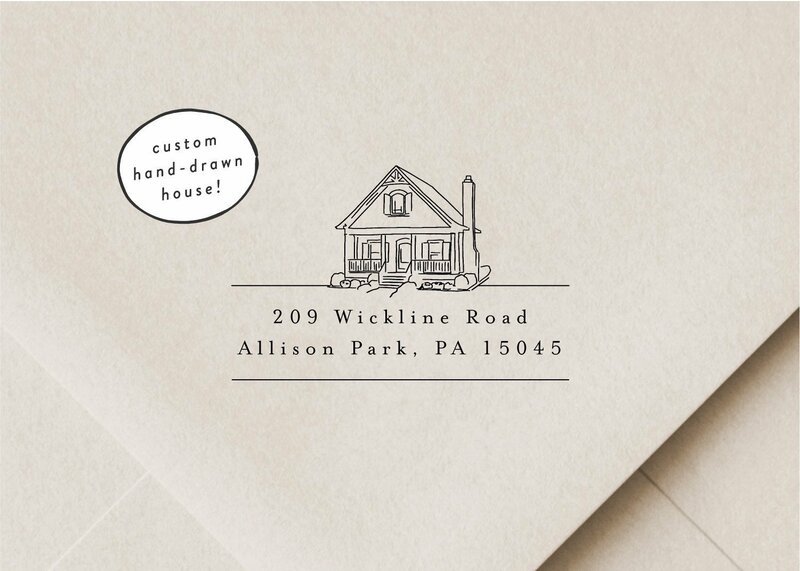 The house will be hand-drawn based off of a google street view or photo of your choice. The drawing style will match that shown in the sample above. 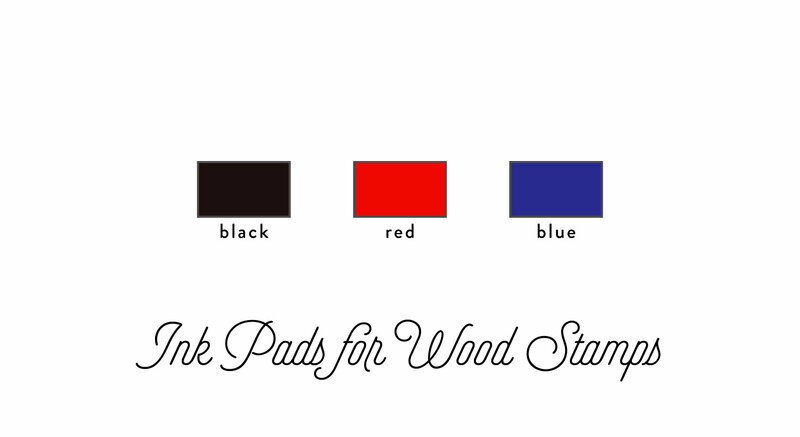 Choose from either a wood address stamp or a Trodat self-inking stamp, and pick your ink color as well. 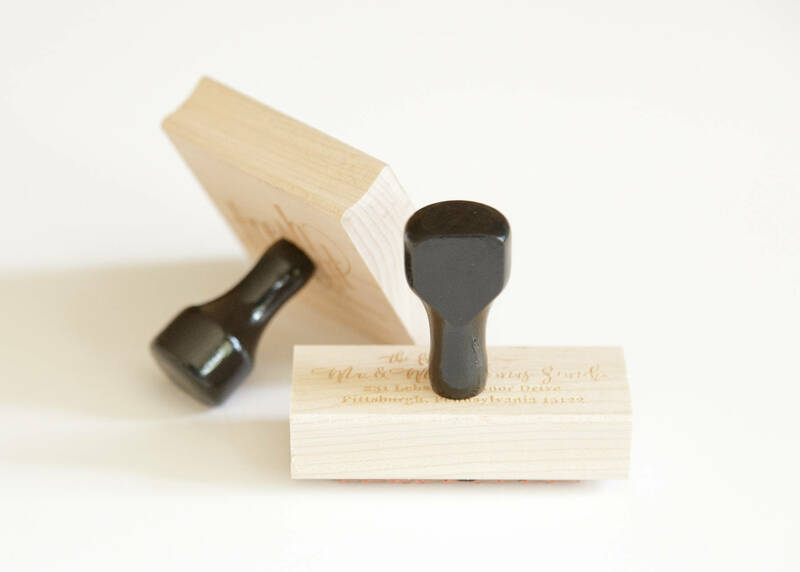 Next, enter the desired name and address exactly as you’d like it to appear on the stamp. If a google street view is not available, a photo must be provided. 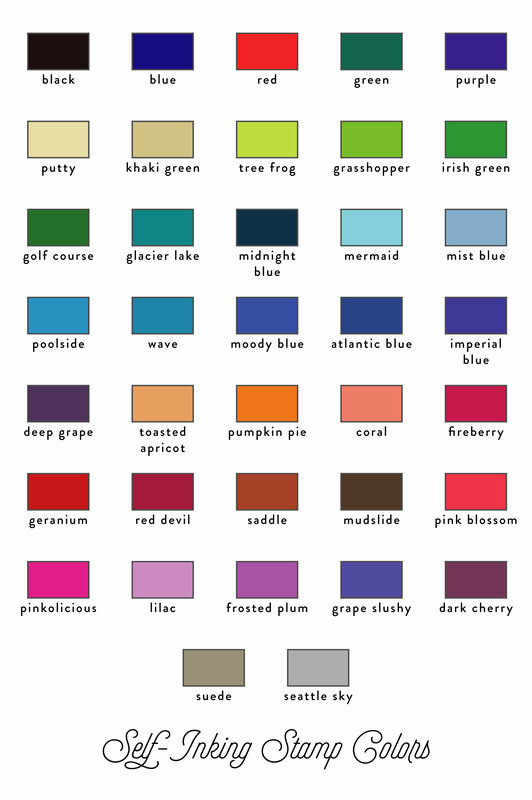 I will contact you within 7-10 business days with a digital proof of your design. 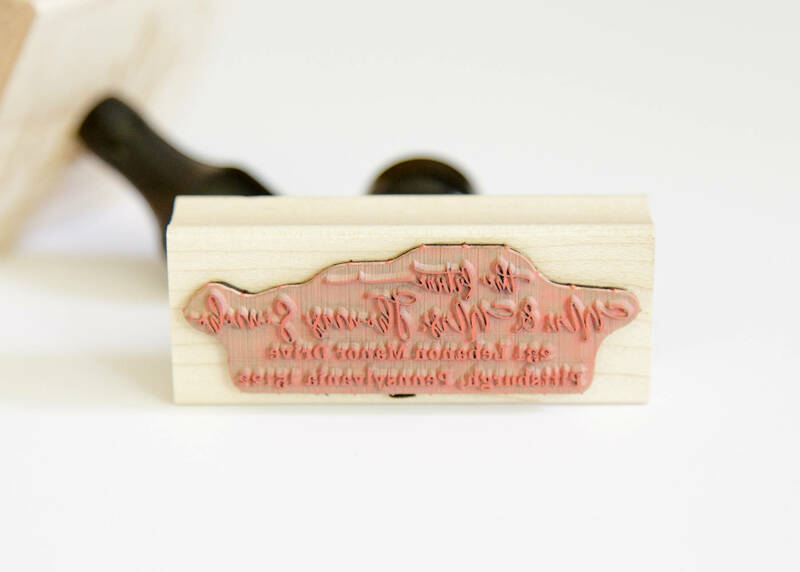 This stamp will be roughly 2″x2″, depending on your exact text and house shape. 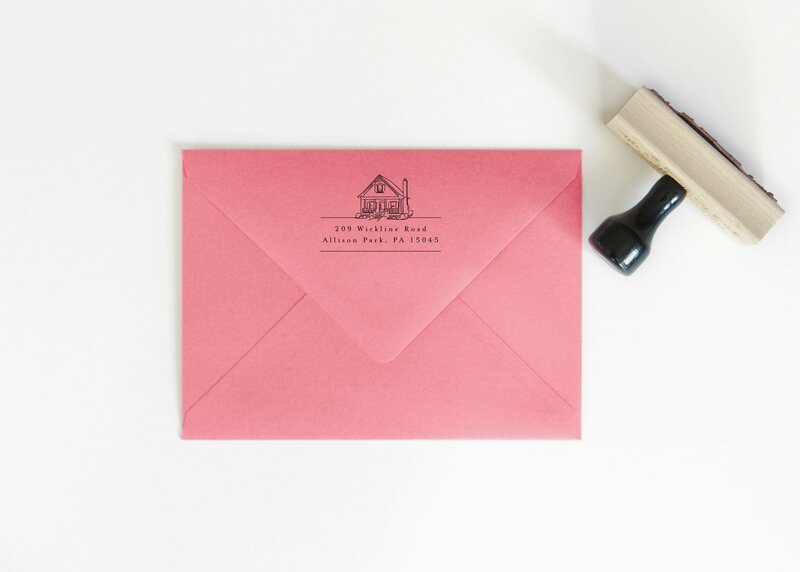 Stamp previews shows an accurate size on a 5×7″ envelope.